Good morning, Mr. President. I’m Dr. Egmidio Culang. Please make yourself comfortable on the couch. 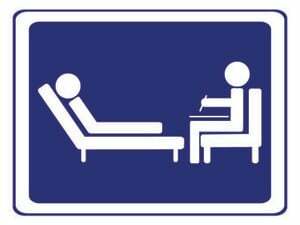 I’ll be your a psychiatrist. I can prescribe something should you need medication. I’m also a psychologist. You can tell me your deepest feelings, and I may be able help you feel better. I’m a CP, D/ABPN, LPC, PsyD, LCP, DDS. Just relax and tell me what’s on your mind. Looking at your file…it says, Mr. President, you’ve been diagnosed with narcissistic personality disorder, which is in the DSM-IV of the American Pyschiatric Association. Okay, well, narcissistic personality disorder is also in the diagnostic criteria of the World Health Organization of the United Nations, which is what the European nations use. Ah, but the good news, Mr. President, is that you have a very common disorder. A lot of people in the Philippines share it with you — say 16 million, give or take. But the bad news, is that your condition triggers a disorder called echolalia among people around you, like close cabinet members. They echo and embroider every ridiculous thing you say publicly. Your communication secretary is particularly vulnerable. Well, the good news is that you actually have a less serious disorder called affective dysregulation, or the inability to regulate moods, feelings and emotions. The bad news, Mr. President, is that your affective dysregulation triggers cyclomania. Oh, cyclomania is the abnormal pleasure you get from riding around on your motorcycle with your .38 caliber revolver, looking for a confrontation so you can shoot somebody. The good news, sir, is that your cyclomania is treatable. No, Sir. Lobotomy. We can surgically remove the Wernicke’s Area on the left side of your temporal lobe to eliminate violent behavior, that compulsion-to-shoot-someone part of cyclomania. Help me here, Sir, please. Could you tell me what’s on your mind most of the time? Okay. How about in your official capacity, what do you talk about, say, in a convention of businessmen? Hmm. I believe, Sir, that you also have a rare form of obsessive-compulsive disorder focused on aversion to drugs, addicts and pushers. Not a big, big problem, except in your case, it leads to an urge to kill anyone involved with your obsession, which is drugs, addicts and pushers. Are you taking any medication? Ah, but the bad news is, fentanyl is a synthetic opioid 50 times more powerful than heroin and opium and cheaper to make. It is mainly concocted in secret labs in China and smuggled abroad for street use. Highly addictive and dangerous. It killed the artist formerly known as Prince. I don’t know about that, Sir, but China is the main source. If you’ve been taking fentanyl for a while, you Mr. President, are most likely addicted. Just take a deep breath, lie back down on the couch, and I will explain very carefully. Your hatred of addicts is called externalization. It’s a Freudian term for an unconscious defense mechanism where a person projects his own shortcomings on others. You think you are blameless; it’s others who are addicted. The bad news, Sir, is your urge to kill them is just an extension of your externalization. Instead of suicidal ideation, or thinking of suicide because you hate being addicted, you unconsciously reverse it and target others. You defensively resort to homicidal ideation, killing other addicts because they hold a mirror to your own weakness. So, bang, you destroy the mirror. Just like some people who violently attack homosexuals are themselves deeply closeted. HOY! Ado! What are you doing in Dr. Culang’s office?! Pardon us, Mr. President, the doctor is abroad. This guy, Liberado Mañaquis, has been missing from the psych ward. He was a psychiatrist but he became crazy when his wife left him. I hope he didn’t harm you. Come willingly, Ado, so we don’t have to put you in a straight jacket.